Giorgia is a lawyer with a background in commercial and corporate law (cross-border M&A transactions, corporate restructurings, acquisition of distress assets and PE investments (private equity/hedge and distressed funds), with experience in acquisitions of NPLs, DCM and Securitizations). 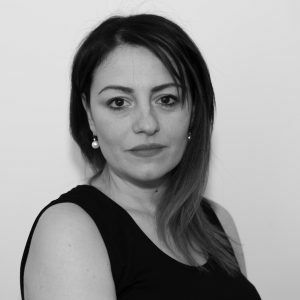 Giorgia has worked as senior associate for an International Law and Tax firm in Milan (Italy), as in-house lawyer for the International Law team of a distressed debt and turnaround investment US funds based in London and in some UK Law Firms in London. She has a Doctor of Law degree at the University of Law in Modena and Reggio Emilia (Italy) and she attained a Master in Law and Business from Il Sole24Ore in Milan (Italy). Giorgia has studied for becoming an Italian Judge in Bologna (Italy) before coming to London where she studied UK Corporate Law and Governance at the London School of Economics and Political Science and UK law at the BBP University of Law for the QLTS.